The time is right for a mobile receipt and label printer for the highest productivity. 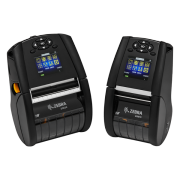 To this end, the Zebra developers have reacted – and present not one but two new printers with the ZQ600 Series. The ZQ610 prints receipts and labels with a width up to 48 mm and the ZQ620 accommodates 72 mm. Both models print at a speed of 115 mm/sec. at 203 dpi quality. Users create shelf labels, return shipping labels and sales slips with the ZQ600 Series whenever and wherever they are needed. Both mobile printers are the direct further development of the successful QLn Series. In addition to flexibility and increased productivity, they convince with a high degree of user friendliness. Users operate the device intuitively and precisely via the clearly arranged color display, even during hectic moments. The display also serves as a diagnosis tool for reporting the printer's status (standby, open housing, errors) – in color and widely visible. Since the ZQ600 Series is compatible with the predecessor series, those users who wish to continue using their QLn accessory devices will especially benefit. 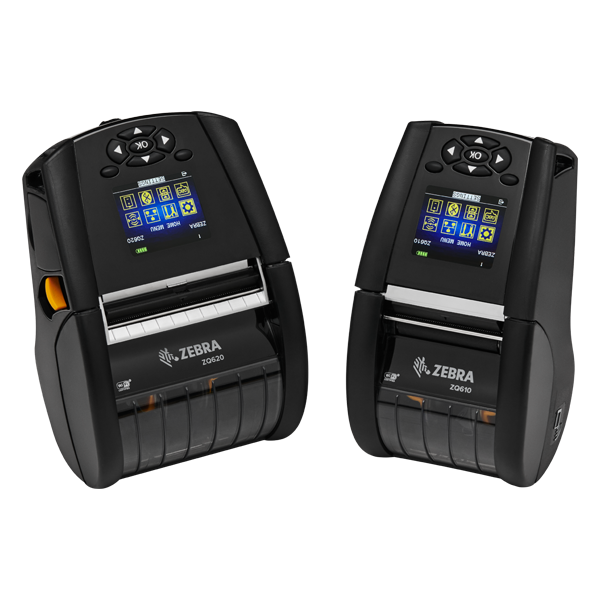 Order the Zebra ZQ600 Series now with your premium distributor. How? Simply pick up the phone and call today!